There’s a little less than a month left in 2012, and I’ve already knocked out 78 books. If I can somehow make it to 86, it will be the most productive year of reading in my life. More likely, I’ll finish around 82. Occasionally, when I sit down to write this list, finding 10 titles can be a bit of work. Not in 2012. 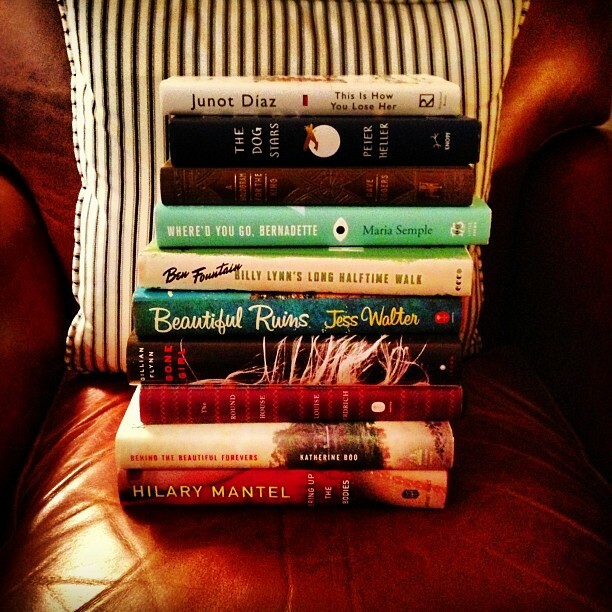 It’s been a remarkable year for books — particularly fiction. This year, the difficulty was all about narrowing things down, and in 2012, these are my favorites.